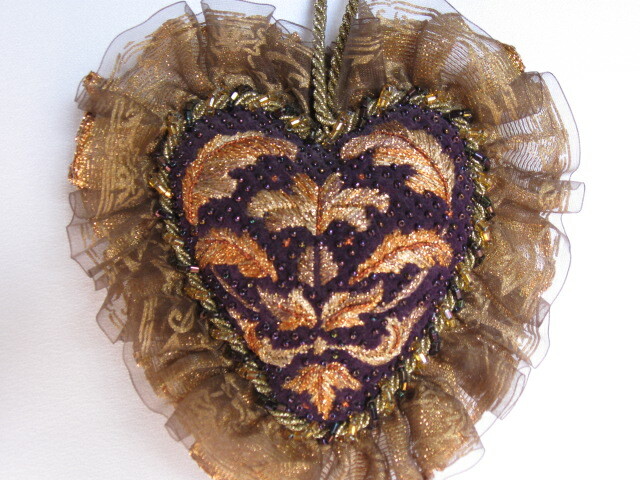 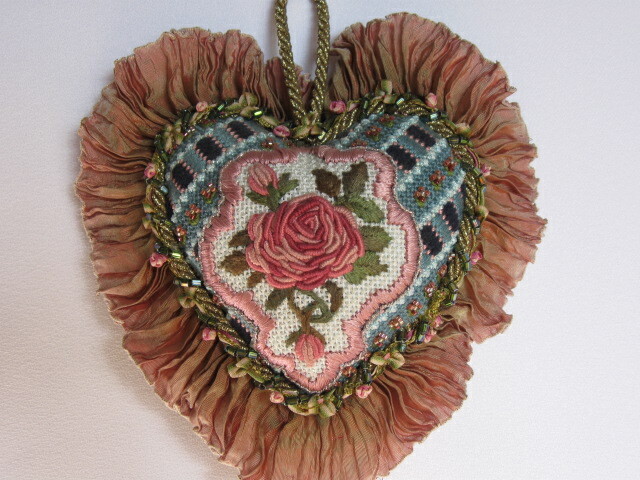 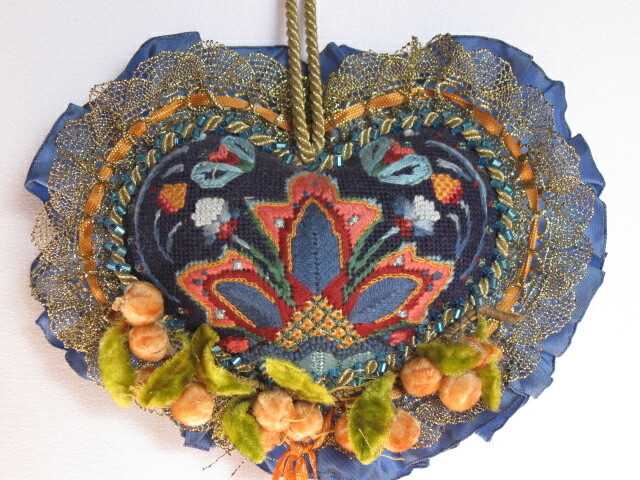 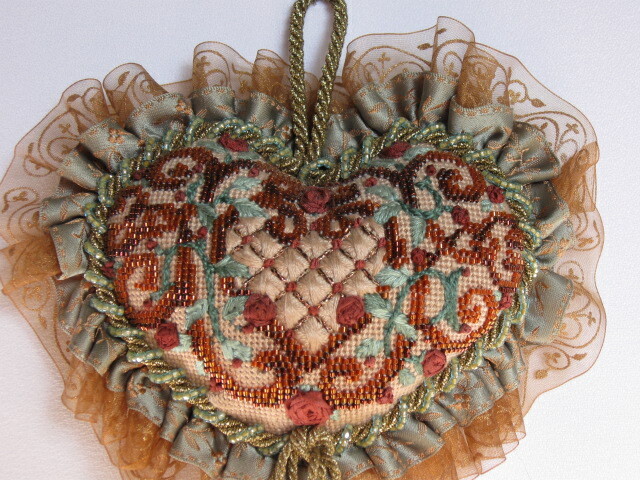 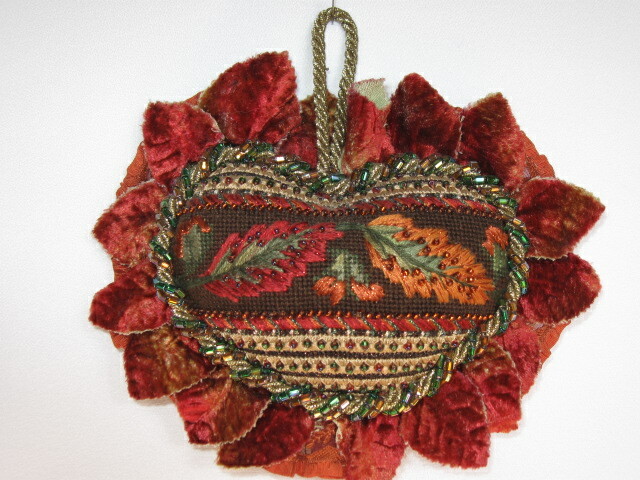 These beautiful vintage hearts by Liz of Tapestry Tent are still available from the designer and will grace any home décorum. 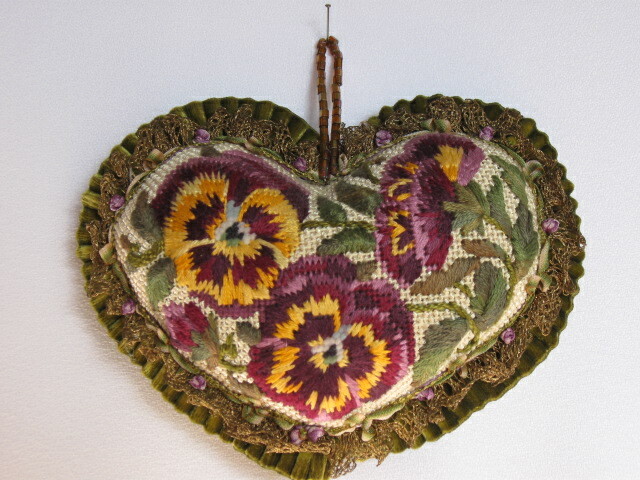 Use the stitch guides from the original series or apply your own stitches. 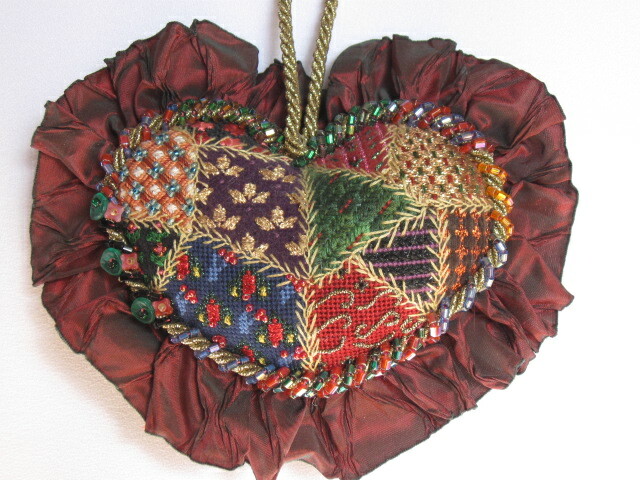 Finishing embellishments will also add to the charm of your piece as shown in these models. 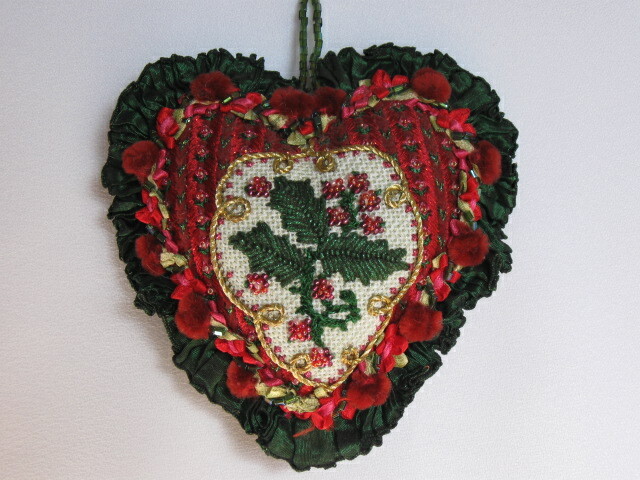 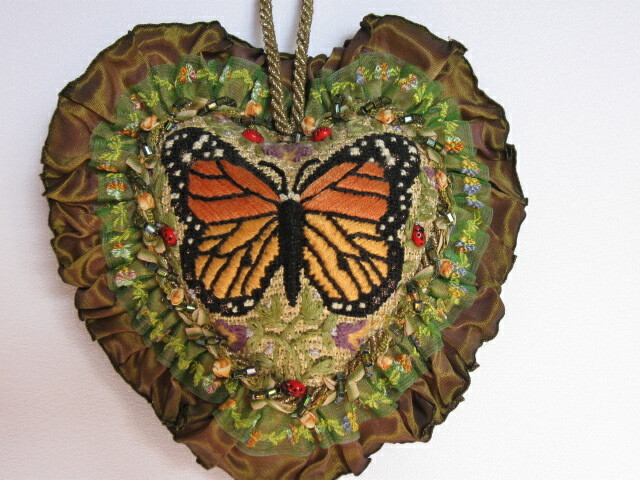 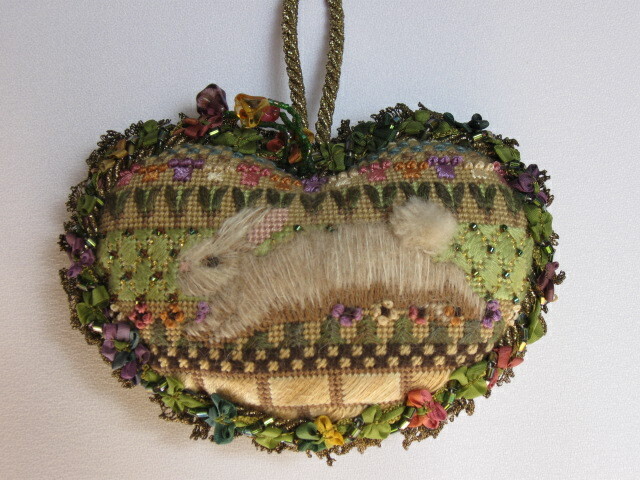 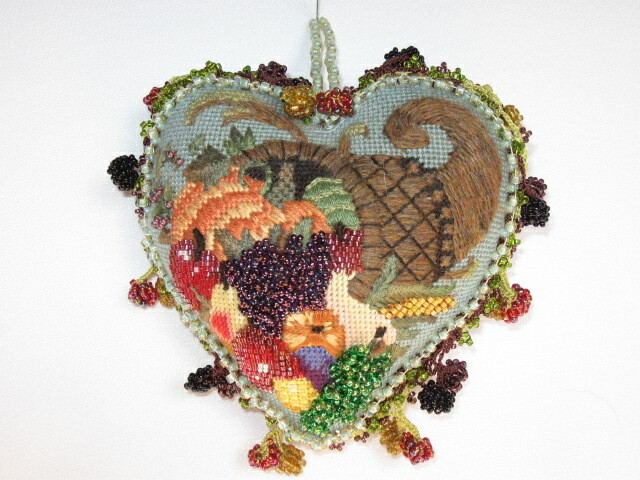 Why not consider stitching a heart that welcomes visitors into your home…. 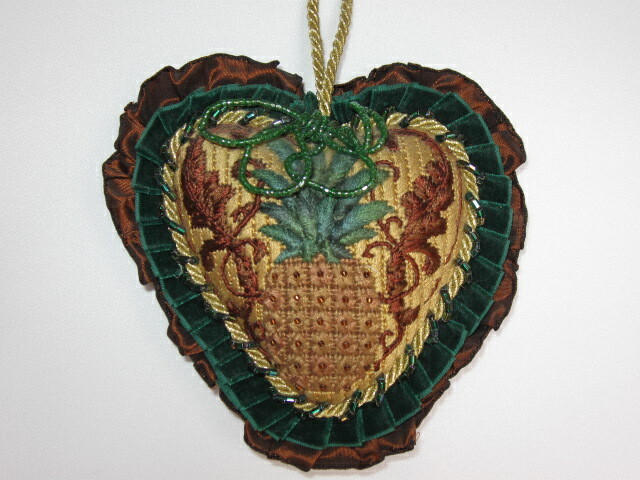 or, as a gift.